I have a BMW X5 E53 4.4I and is 2004 54 plate. I have experienced battery drainage where I was w2orking away for 3 weeks at a time to find the battery flat, once started everything was working fine. I located the problem to the small fan unit in the climate control which was not turning off hence draining the battery down. However, after replacing what I thought was a dud battery with a new one, none of my keys work, I have to open the drivers door with the key. I have tried unsuccessfully to initialise them both, but no joy. I have had the keys tested and both have power in the internal battery's and transmit a signal. So basically when the car is locked by the drivers door it does not initialise the immobiliser. I have checked the Antenna amplifier which is in the tailgate. I have checked all fuses, I have even changed the interior mirror as that where the red bulb flashes when the car is locked and secure. All doors work properly, the central locking works perfectly, locks when the car is underway. So to summarise, the car immobiliser is not active when the car is locked. Has anyone any thoughts , ideas or has experienced the same problem. However, after replacing what I thought was a dud battery with a new one, none of my keys work, I have to open the drivers door with the key. Does the statement in your quote above mean that you replaced the battery in the KEY...or did you replace the vehicle's battery? The battery inside the key is only for the FZV & DWA systems. 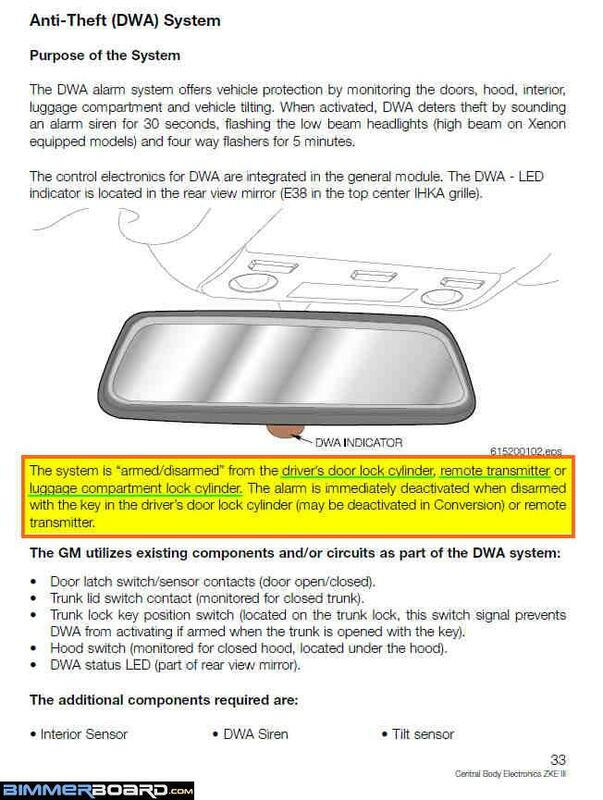 The EWS system/features of the remote key do NOT require the battery inside the key. EWS is self powered through induction...a 115 KHz AM signal is sent from the EWS -CM to the transponder inside the key. Understanding the difference between EWS, FZV & DWA: these are 3 completely different systems that do or can work in conjunction with each other. EWS = the immobilizing system. This feature shuts down fuel, spark, and ignition...and utilizes an EEPROM (transponder chip) inside the key that contains an ISN (individual serial number) that must match the ISN coded into the EWS control module and the car's DME/ECU. When the key is inserted into the ignition and turned on, the communication between the EWS-CM, key, and DME takes place...and if the ISNs match, the car will start...if they don't, the car won't start. 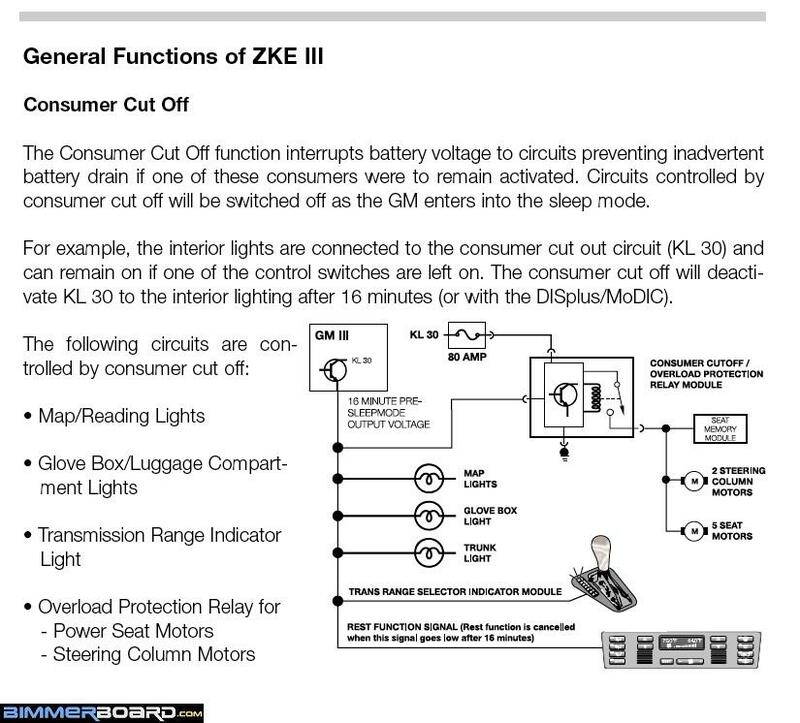 FZV/FBZV = the central locking system/keyless entry features of central locking system. Central locking has two settings...DOUBLE-LOCK & SINGLE-LOCK. When the remote key is used or if the key is manually inserted into the driver's door lock cylinder...the car is DOUBLE-LOCKED. All doors, tailgate AND fuel filler door is locked. If you lock the vehicle using the central lock button on the center console, or lock the car manually pushing the door pins down, or if you have the auto-lock feature initiated that locks the doors at a specific speed...then the vehicle SINGLE-LOCKSs. 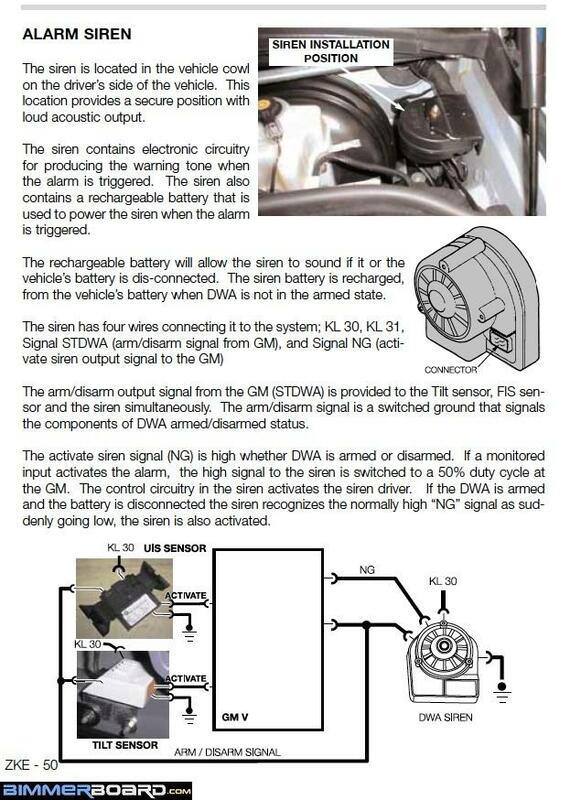 DWA = the anti-theft alarm siren system. This system monitors the doors, tailgate, hood, interior motion sensor (IMS), and tilt sensor...and is initiated anytime you lock the vehicle manually from the driver's door exterior lock cylinder...or using the remote key. The little red "clown nose" LED light below the interior rearview mirror illuminates when DWA has been activated. When the system is active...if a monitor is breached, or the vehicle is tilted, or if something enters the cabin...the alarm siren will be activated. 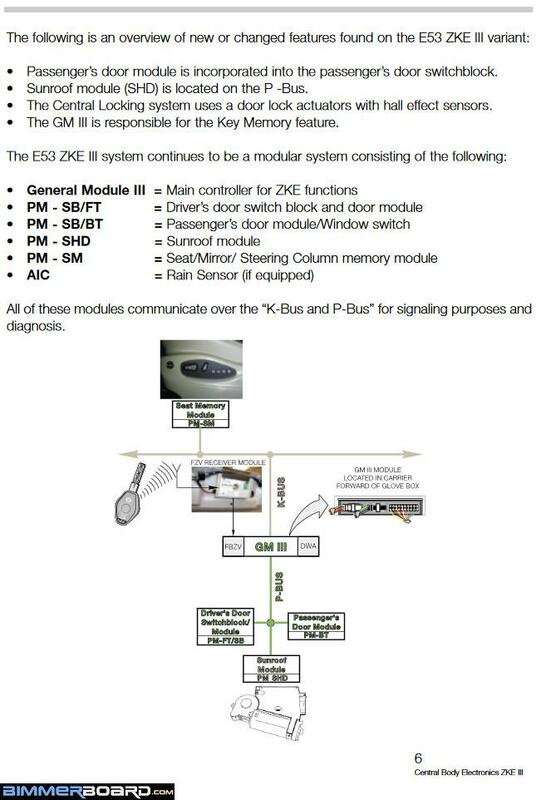 EWS/Iimmobilizer - the car WILL NOT start if someone attempts to start the car and they don't have a key that has the same ISN as the other EWS modules in the car. 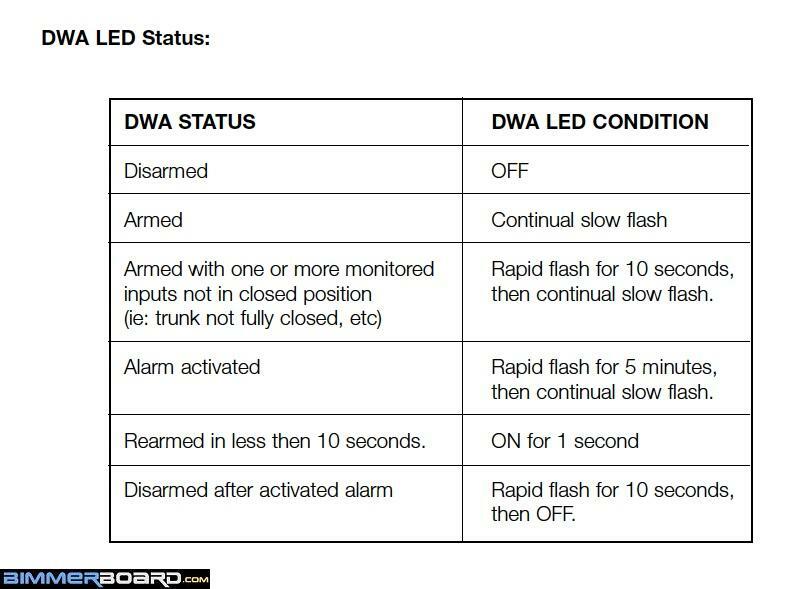 DWA - is automatically activated anytime the vehicle is locked...the red LED below the rear view mirror should illuminate to indicate DWA is activated. 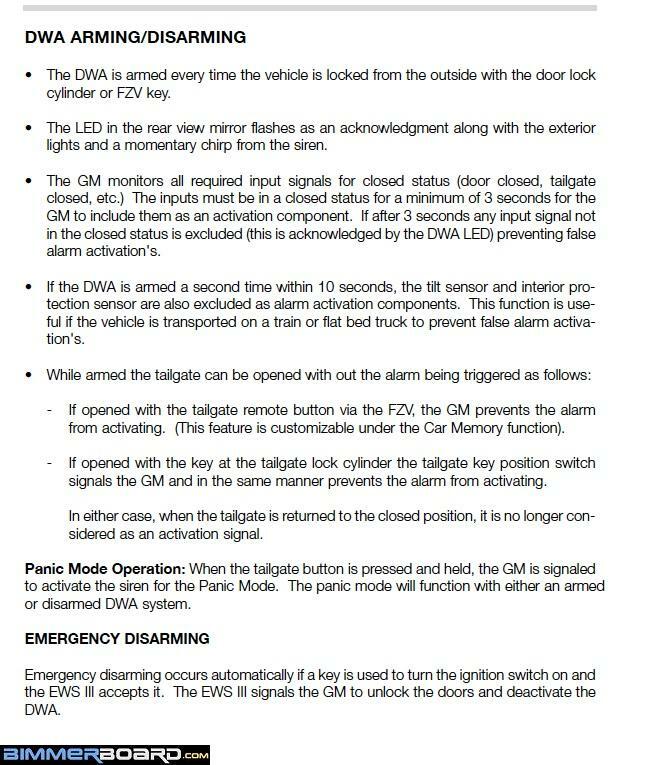 The alarm should sound off when DWA is activated and a door, tailgate, hood is opened, or if someone smashes a window (IMS) or if someone attempts to move the vehicle (tilt). FZV/FBZV - central locking system consists of door lock actuators, tailgate (or trunk) actuator & fuel filler door. All these things can be locked simultaneously from a central point...remote key, driver's door lock cylinder, central locking button on the center console. Last edited by QSilver7; 02-28-2017 at 07:02 AM. I replaced the vehicle battery, thats the point where the keys stopped working, but having said that the battery had been flat a few times before, removed from car, replaced so no reason to suggest a new vehicle battery has caused a problem so to speak. From the info you have supplied it would appear the problem is with the DWA as all other sections are fine. I did however, chop the little fan out of the IHKA unit as it would not shut down, as you say it should switch off after 16mins. Removing the fan unit has not affected the operation of anything, but I guess if I leave an interior light on I will have a flat battery again. 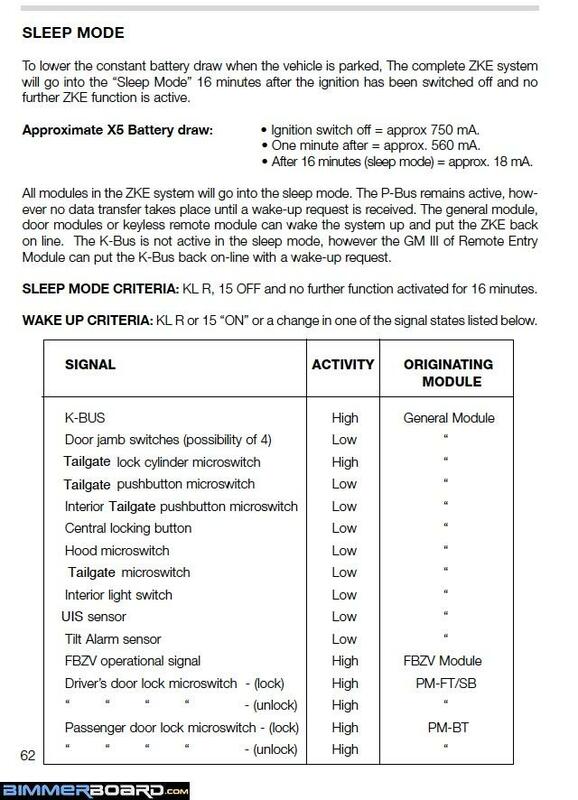 SO, again from your info.....would the GM 111 module be faulty? The little fan inside the IHKA control panel is used to draw the cabin's air inside as it passes over a thermistor. 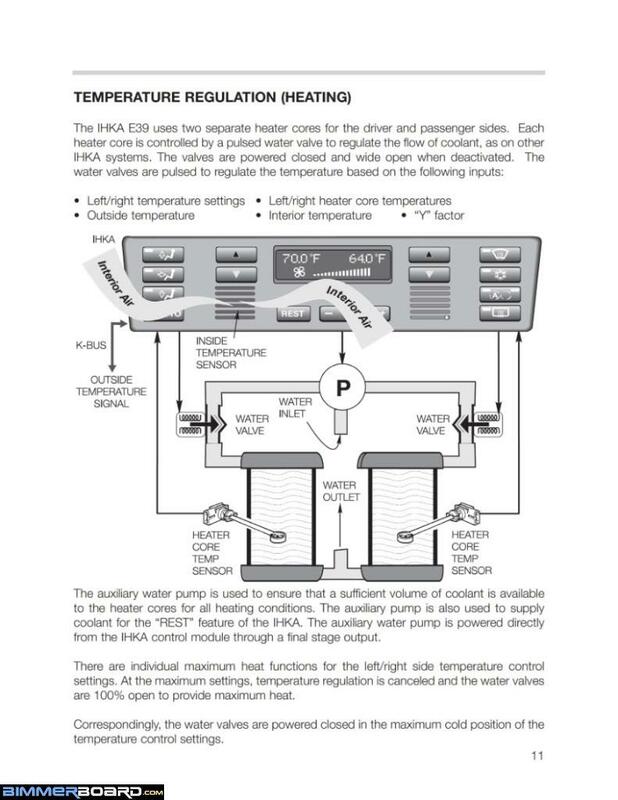 This is how the IHKA regulates & maintains the temperature that is set on the display.